The definition of “future” in our land has always been enormous. Enormous in the sense of doing something big. Creating a future for a nation. A nation very abstractly defined. We have always remained a people who think big. Thinking big is good, but only if it serves higher interests and also remains beneficial to larger sections of humanity. Here, thinking big never had this aim. This is the top-to-bottom, vertical thinking process that we persistently follow. We have always wanted to build a Pakistani nation, the future of our dearly-won freedom. This is a great thought. But how did we decide to realize it? We decided to follow dreams of the rich and mindless who grafted ideas in isolation. Our education system, so vertically designed, indoctrinated generation after generation to the extent that we no more know how to think to get a future for a nation. The easiest way to define a community is an interactive human entity that shares the joys and sorrows of everyday life in a very direct manner. There is nothing imaginary about knowing each other. If one doesn’t have access to water the other doesn’t have it either. Availability or non-availability of basic amenities (or luxuries) is a shared issue for a given community. 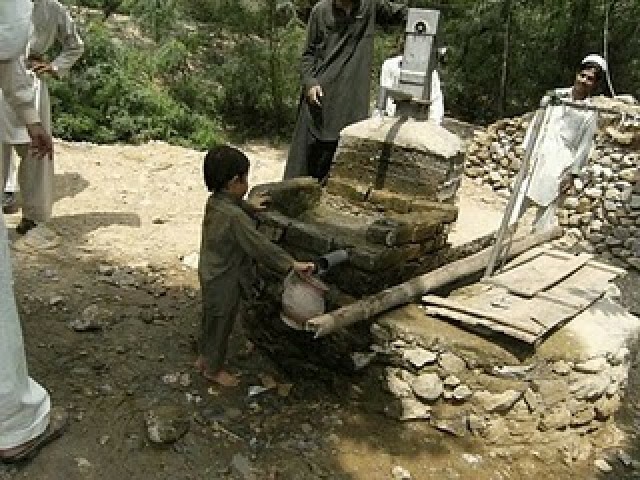 Right now we are not talking about luxuries. We can’t afford the luxury of thinking about a community sharing luxuries where basic amenities of life become luxuries. What could be the definition of a future if we look at the world from the bottom upwards. It would simply be a sum total of most (preferably all) communities getting a better future. It is simple, the greatest good for the greatest number of people. How can we achieve it? Through allowing the greatest number of people get their voice to the greatest number of people. To give a platform to all and sundry (the not too positive term) say whatever the world is in their eyes. To respect this world view. To overcome the prejudice of prejudgement. To allow unsophisticated voices come to the fore. To let people evaluate their immediate environment and respect it with open hearts. True, this is the death of the mainstream, but what is mainstream? If mainstream doesn’t accept the parts that create the whole, it becomes an abstraction. And this is what is happening right now. Even when we send cub reporters to their own small villages, the very villages they left in the morning to come to the university, they get into their parent communities, their mothers and fathers, with a mainstream bias. The psychology of status at work. The “I am better than these simpletons, because I am going to give them a voice.” And it is at this point that our community project fails. Our young men and women fail to recognize their own kith and kin. Overcoming this natural bias is the art of community journalism. This is a typical outcome of backwardness, of predominant illiteracy, of education becoming a privilege. True, the few getting the chance to higher education are privileged, but this also posts a responsibility on the shoulders of the privileged. They are also ambassadors of the underdog. If they fail to recognize their responsibility and act as celebrities in the very courtyards they breathe in day and night, they are doomed. Their communities don’t have a future. And if communities don’t have a future, there is no nation to think about. We do need dreams to create our future, but we also need to know how to dream. Community media is one such enterprise that needs technology and humanity at the same time. You can’t feel, you can’t film; you can’t make sense of the simple world around you. A world that is telling its story in thousands of different ways. One has to get rid of preconceptions to listen to the music of the heart. Getting into ones own parent community with a sense of superiority is the worst moral crime of all. It becomes even worse when the visit is meant to bring the reality about the life of a people. State of the art technology is excellent, trainings are a must, but a good heart is a precondition. Journalism for the voiceless is still a mission. It always will remain one. This is one reality never going to change until all ills of human survival on this planet are defeated. Until then we have to keep the torch burning high and bright. 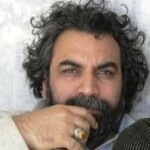 Chairman of Journalism department at the University of Peshawar, Khan is global adjunct faculty at the center for International Studies at Ohio University. He completed his doctorate in communication and media sciences from Germany. He lives in Peshawar with his wife and three sons. How do the first five paragraphs of your article connect with the last three, has gone beyond me. Its like you have discussed two topics and in connecting them there seems to be a problem. @altaf ullah Khan – what confused me was the ideas drawn in the first five paras were so immense in scope and then to connect that with community journalism was difficult.